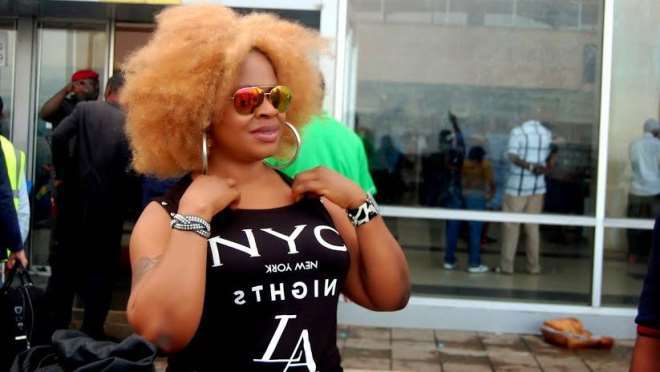 Daring actress, Afrocandy, has begun work on her new movie and has asked those intending to be in the flick to pay the sum of N7,000 to audition for the film. The movie is entitled 'The Queen Of Zamunda'. 'You must bring your teller when you are coming,' she said. Afrocandy also advised her fans to be careful of whoever claims to be her agent, stating she does not have any.